Uncoupling membranes designed for ceramic and stone tile installations provide waterproofing and help prevent cracking. Uncoupling membranes in the tile assembly are fast becoming an essential and affordable part of the tile installation process. Uncoupling is a method that can be used with all of the most common joist spans used in residential construction. Tiles and substrates expand and contract at different rates when changes occur in temperature and moisture levels so there needs to be a mechanism for releasing these stresses. The uncoupling layer, or forgiving shear interface, provides cavities of open space that allow for in-plane movement, which neutralizes the movement stresses between the building’s substrate and the tiled surface. Uncoupling membranes absorb any substrate movement, and eliminate the transfer of that stress to the tile layer, which helps to prevent loose or cracked tiles. It is still common practice today to install ceramic and stone tiles by direct bonding to the substrate with backer boards. These direct-bond systems can lead to tiles eventually cracking, splitting or becoming debonded from the substrate because there is no release mechanism for the natural stresses that build up. 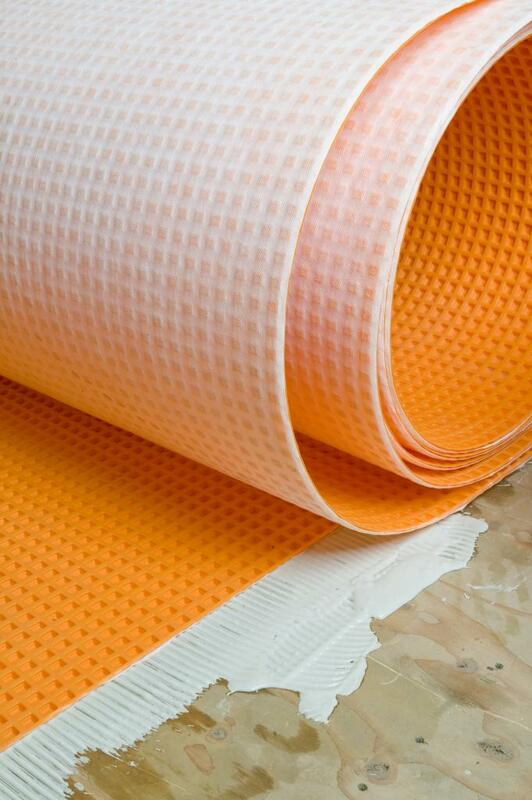 Schluter®-DITRA membranes from Schluter Systems are designed specifically for ceramic and stone tile installations. In addition to providing uncoupling, they can also serve as a waterproofing layer that protects moisture-sensitive substrates, such as plywood or OSB (oriented strand board), as well as provide heavy load distribution to ensure tile installations remain durable. The square cavities on its grid structure are each cut back in a dovetail configuration to create an anchoring mechanism for the thin-set mortar. An anchoring fleece laminated to the underside of the membrane is embedded in thin-set mortar to bond to the building’s substrate. A close-up of a DITRA installation on plywood. With a nominal 1/8-inch thickness, DITRA minimizes tile assembly thickness and provides more even transitions to lower surface coverings. It can also be installed on top of concrete, plywood, OSB, gypsum, existing vinyl floors, structural planks, sub-floors, and radiant heated floors. The waterproofing capabilities make it ideal for bathroom floors, in contrast to tile backers that are water resistant rather than waterproof. With DITRA, the nature of its lightweight characteristics allow for speed of installation, saving time for installation crews. 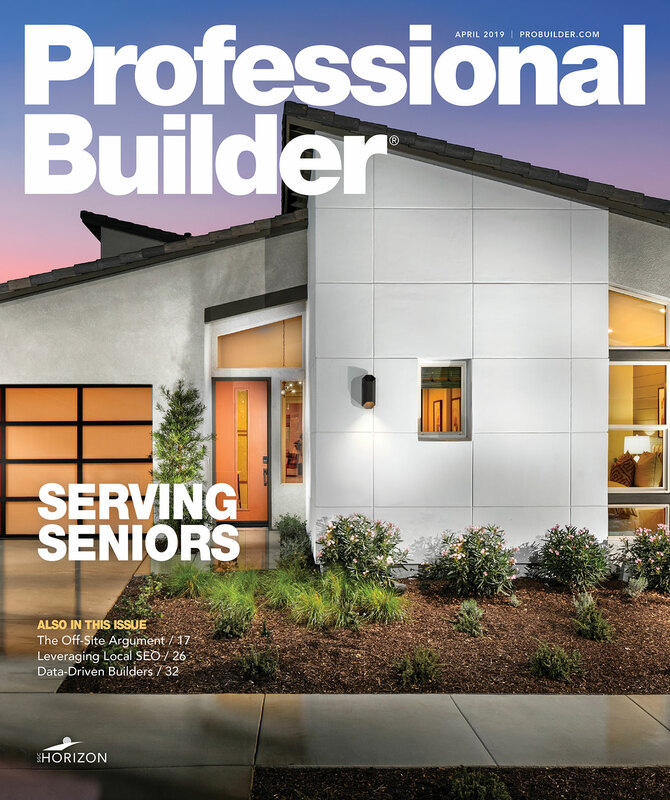 One roll of DITRA (at 39” by 95.5’, covering 323 square feet) weighs only 39 lbs in comparison to 495 lbs (22 sheets) of backer board (covering the same amount of square footage), meaning installers can load the tile, underlayment and thinset more efficiently and at a quicker speed. The use of DITRA uncoupling membranes also produces little to no waste, allowing for greater inventory control for builders and the tightest possible project bids. Storage requirements are also minimized when compared to pallets of traditional backerboard.